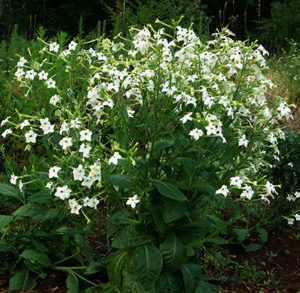 (Azteca Night Blooming Tobacco) Elongated leaves form a loose basal rosette that gives rise to multiple upright branches that are stiff and self-supporting, flowering to 3 feet. 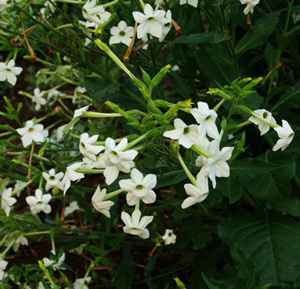 The white, heavenly scented flowers flare out in the evening and bloom all night long, sending trails of exotic essence out over the summer-warmed landscape. 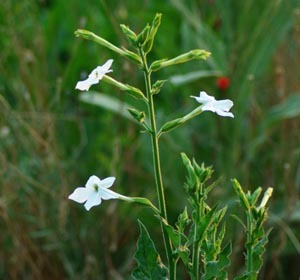 The flowers last through the morning and collapse by midday, only to come on again that evening. 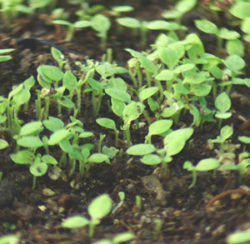 Press seeds into soil surface and keep moist and in the light until germination. 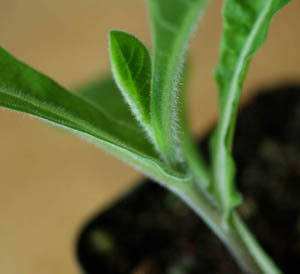 Sow seeds indoors 6 weeks before your last frost and transplant out to garden after the soil warms up. Space plants 3 feet apart. The evening pollinators have really enjoyed this plant in our gardens. 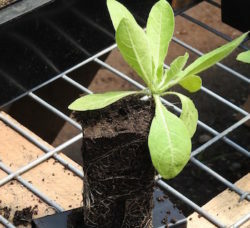 I started the seeds indoors in early spring with our other solanaceous plants and transplanted outdoors after the soil had warmed well. Otherwise, I really didn’t give this plant much in the way of special care, yet it has thrived this year, even with the unusually high rainfall we have experienced almost the entire growing season. Talk about a hardy plant! I will definitely grow this again next year. 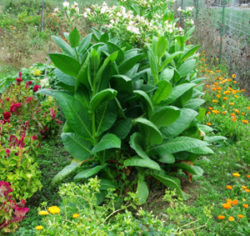 Azteca Night Blooming Tobacco, at dusk. Some flowers are pink, and some are white. 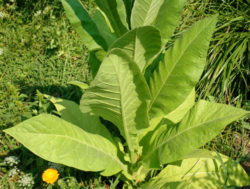 Is this a smoking tobacco?